With winter in full swing, snow is an everyday occurrence, but no matter how magical it looks from the window, it's a major obstacle for getting anywhere. In parts of the country that experience snowfall for months at a time, being fully equipped to deal with it is a must. Shovelling every part of your entrance and driveway twice a day can lead to back pain and it's a time-consuming task. Removing snow becomes a tedious task and not everyone has the time or the equipment for that. Blowing it away can be effective for a while, but as soon as the snow starts melting, it turns into ice overnight. Keep reading to learn the best snow removal tips and keep it off throughout the winter. Wondering how to get rid of snow fast? Grab a big snow shovel and work your way through. Make sure to shovel it away from your house because if it melts, you'll have a different problem to deal with - mould and water damage. There are special snow shovels especially made to keep your back straight so you can clean everything in a matter of minutes. Make sure you stay safe while shovelling as snow and ice are slippery and can lead to injuries and falls. Snow blowers are heaven-sent in the middle of winter when shovelling just doesn't cut it. It's one of the quickest, most efficient snow removal techniques if done properly. You need to be careful not to blow the snow back onto the driveway. Don't forget to double-check the condition of your snowblower to prevent further delays. Sprinkling cat litter onto your driveway is one of those weird snow removal ideas that work wonders. It makes ice less slippery and you'll be able to walk safely. If you don't have cat litter, you can use sand or bird seed. If there's too much snow and ice and you're in a rush, add the sand on top. Otherwise, clean the surface as much as you can and sprinkle it afterward to prevent new ice from forming. Regular kitchen sea salt also works wonders for slippery driveways and can even contribute to melting the ice faster. Want to learn how to get rid of snow the fast and easy way? Hire a professional snow removal company! They'll do the job quickly and efficiently and you'll come home from work to a clean and ice-free driveway. If you know a storm is coming, you can book them in advance for the next day. Make sure to read online reviews and do proper research on the company's prices and practices. 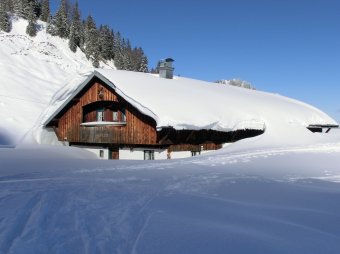 Removing Snow Is Easy With These Tips! Everyone dreams of a white Christmas, but as pretty as it sounds, removing snow can be a huge inconvenience when you have to dig out your car to get to work in the morning. This is why you need the right tools to remove snow effectively and keep it off until the next snowfall. To learn more about our services and get a free estimate for your property, contact us today.